West Side's no easy place to do business. I wouldn't really argue with him on it. This image would have never crossed my mind though. Violent acts of anger and prejudice have once again claimed the lives of members of the press in France. Those who claim to defend specific religious must know that no religion recommends such unabated violence. While expressing my condolences to the families of the victims and all citizens of France who are mourning this tragedy, I am grateful to the French government and nation who are not using the excuse of establishing order and security to take away their other citzens' liberties. I sincerely thank you for using civil acts to protect your democracy. Perhaps your actions would teach the rest of us how to overcome the impediments to democracy and freedom of expression with patience and perseverance. Our modern history is, unfortunately, sullied with religious fanaticism. We must learn to put a distance between ourselves and these destructive prejudices and teach the next generation to deal with the prejudices of their own times. Firing Line with William F. Buckley Jr. "The Prevailing Bias"
I used to watch both a lot as a kid. I guess both too boring by today's standard. Buckly's intro here is hysterical. An email from a group lobbying to put the Obama Presidential Library in North Lawndale over by Roosevelt and Kostner. The Library would be affiliated with University of Illinois Chicago. The CSX's Altenheim subdivision runs on an embankment just south of Roosevelt. It's a right-of-way very similar to the Bloomingdale trail and would be a natural to connect the Library with UIC's main campus. Here's a link to their site, and the text of their email today. Jan 19, 2015 — I want to thank you once more for your support in our efforts to save the 3411 West Douglas Boulevard from demolition. Although we were not successful at saving the building, we are pleased to know that so many current and former North Lawndale residents care about the direction of the community. At this time, we would like to honor the tradition of Dr. Martin Luther King, Jr. and the North Lawndale community by sharing an update of our efforts to bring the Obama Presidential Library to the West Side. Here is a link to our latest update on the UIC-North Lawndale bid. http://us9.campaign-archive1.com/?u=53e448710cf8b92021af46e45&id=826fb50f61 If you are interested in keeping abreast of the latest developments, please subscribe. We expect to have another meeting to engage West Side and West Suburban elected officials and residents and heighten awareness of the bid. We hope that you will consider supporting this worthy cause as well. Rauner suggested he would communicate better with the leaders than Democratic predecessor, Gov. Pat Quinn. "(In) the prior administration, my sense is the communication was lacking or frigid," he said. "And that's not going to be the case here." Note Lester comments in the video on Madigan's speech in 2011 at Elmhurst College on George Ryan and management styles. Rauner will have no problems getting along with Madigan. Lets just hope he doesn't sell the rest of us out. Let 'em out and they're back slaughtering. I removed most of the links. Many were broken and I never bothered with the rest. I'll try and do more blogging and more writing instead of just posting links. Originally I had wanted to do more local history and especially history of Chicago's Westside. We have facebook pages now that do that far better using the collective memories of FB users. Austin Westside Archives , Austin Neighborhood, and Forgotten Chicago some examples. 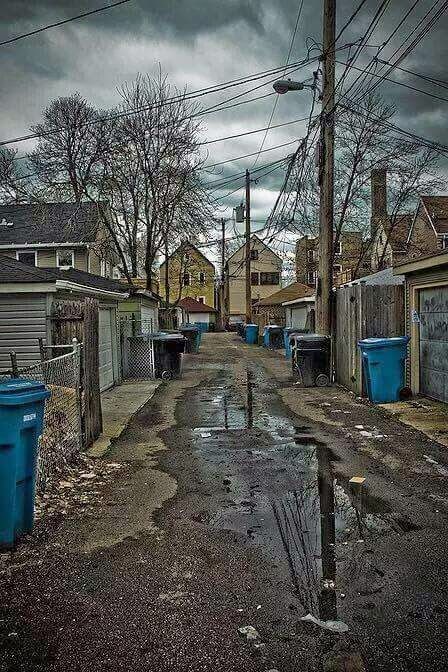 A picture on posted on Forgotten Chicago's Facebook page. It spurred a lot of comments and memories. The Midwest Stores were a purchasing collective for Polish corner grocery stores to give them a little leverage on the chains. The Newberry Library's Foreign Language Press collection has an English translation of an interview with the President of the Midwest Stores Group. I found this still extant sign for the group while walking the city via google maps. Regarding all of the back and forth on Charlie Hebdo and Islam: when Petreaus launched the surge he told the troops Americans valued Rights while the Middle East placed a higher value on Honor. Knowing that helps understand while many Muslims can abhor the violence but still recoil at Hebdo's slurs and seem more sympathetic to the terrorists than we in the west would like. In fact Honor's probably a value in decline among us creating a chasm harder to bridge. Trailer for the Algren movie which I guess is out now but I've yet to see. I liked him when in college but know just wonder why his fascination with the down-and-out. The IS police force has confiscated and burned tobacco products and punished those caught smoking. According to reports, the force's deputy commander in the area had been captured, tortured and beheaded. His severed head was reportedly found with a cigarette in its mouth and close by was a note with a mocking reference to the fact that smoking is a sin in the eyes of the religious police.